Julia Driver is Professor of Philosophy at Dartmouth College. She is author of Uneasy Virtue (2001) as well as numerous articles in journals, including The Journal of Philosophy, The Philosophical Quarterly, and Noûs. 1. The Challenge to Moral Universalism. 2. God and Human Nature. 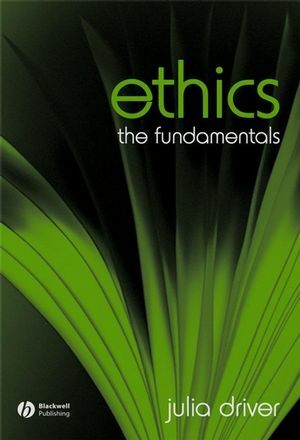 Introduces students to different philosophical approaches to ethics, including moral relativism, virtue ethics, Kantian ethics, divine command theory, and feminist ethics. Presents lively, everyday examples and thoughtful discussion of key moral philosophers and their ideas.